The best tint service is guaranteed with the use of start-of-the-art computerized film cutting technology. 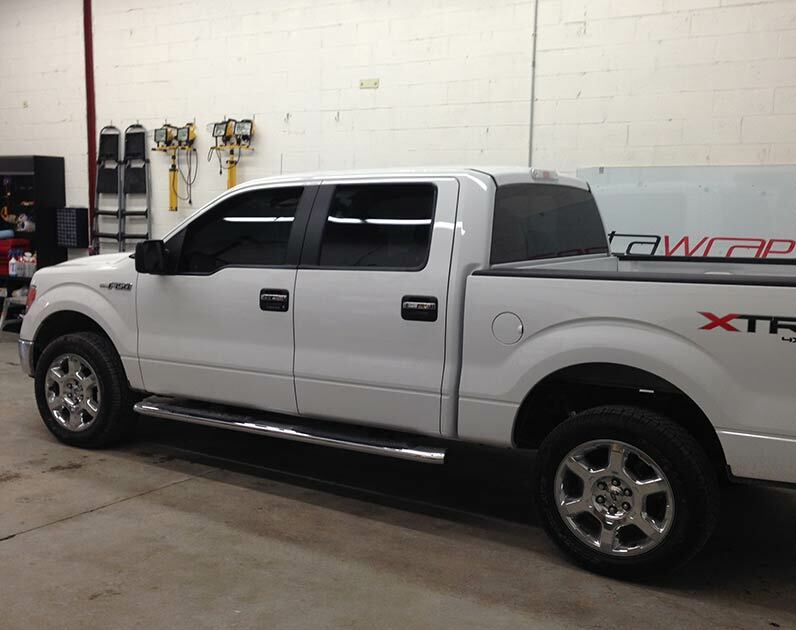 Window tint patterns are digitally generated and cut to your car&apos;s exact specifications. We have a variety of film qualities and tint shades available. The films are available in mirror colours, bronze, gray, and neutral. The shade of the window tint can be customized to match your vehicle. The best tint service is guaranteed with the use of start-of-the-art computerized film cutting technology. Window tint patterns are digitally generated and cut to your car’s exact specifications. We have a variety of film qualities and tint shades available. The films are available in mirror colours, bronze, gray, and neutral. The shade of the window tint can be customized to match your vehicle. There are a variety of window tinting types including: dyed, metalized, hybrid, and ceramic. Dyed film produces the darkest effect, and prevents anywhere from 5% to 50% of light from entering the vehicle. Metalized film has multiple layers and can block out everything but 10% to 40% of light. It is very effective at blocking heat. Hybrid film is a combination of dyed and metalized. Ceramic film is relatively new, and consists of an adhesive layer that is bonded to a thin ceramic layer, which is protected by a top coat. It&apos;s capable of blocking out all but 30% to 50% of the light. When tinting your window, we adhere to Ontario laws and regulations. It looks great and improves the look of your ride. It reduces the amount of heat entering your car, thus saving you money during summer months. Less energy in the form of air conditioning means that you can save gas. Automobile tint blocks up to 99% of UV rays, protecting you, your passengers, and the interior of your car. Safer driving – when the sun isn&apos;t shining in your face, your eyes are shielded and glare is prevented from all sources. This enables you to drive more safely. Increased privacy – no matter where you are, you can keep a low profile. When the car is parked, nobody will be able to look in to see your valuables. When applied properly, tint helps keep shattered glass together. In the event that you are in an accident, your window will be less likely to shatter. Car windows can be tinted during either cold or warm weather. In adverse conditions, however, the curing time may be extended. After the tinting process, it&apos;s recommended that you keep your windows up for at least a few days, as rolling them down too soon can cause the tint to peel off. Keep in mind that it is normal for the windows to appear “hazy” at first. This is normal and won&apos;t last for very long. It&apos;s important to have your car window tinting expertly installed by professionals. 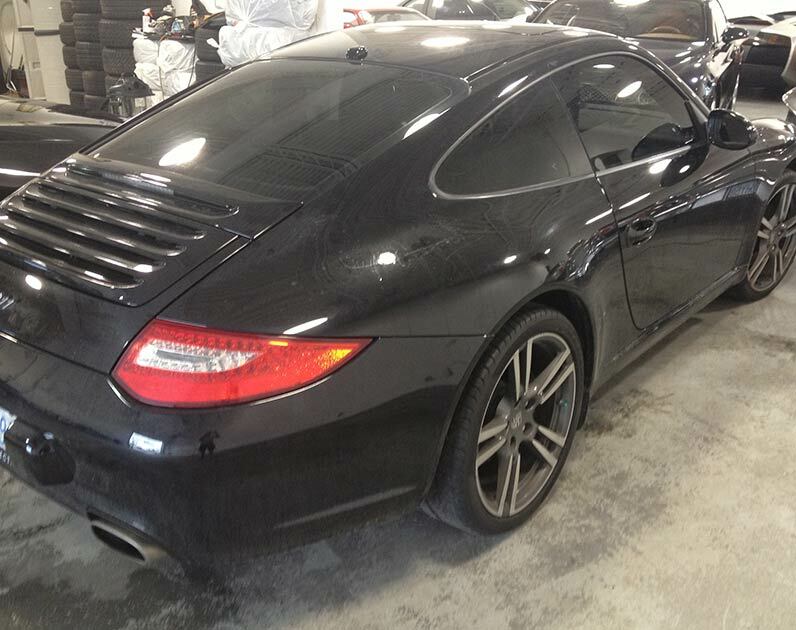 GTA Wrapz serves the Vaughan and Toronto areas and specializes in not only window tinting, but wrapping and signage as well. We will determine the best shade of tinting for your vehicle and provide the quality service that you and your vehicle deserve. Head Light and Tail Light tinting. Head light anf tail light tinting can imporve the look of any vehicle with out the hastle of removing the lights off the car. Tint film is a better option then painting lights because you can remove them at any time. We offer various shades and colored films for the lights, and the best part is they are all transparent so it does not block any light while your driving.